There is no doubt that these days no professional photo editing is possible without Photoshop. 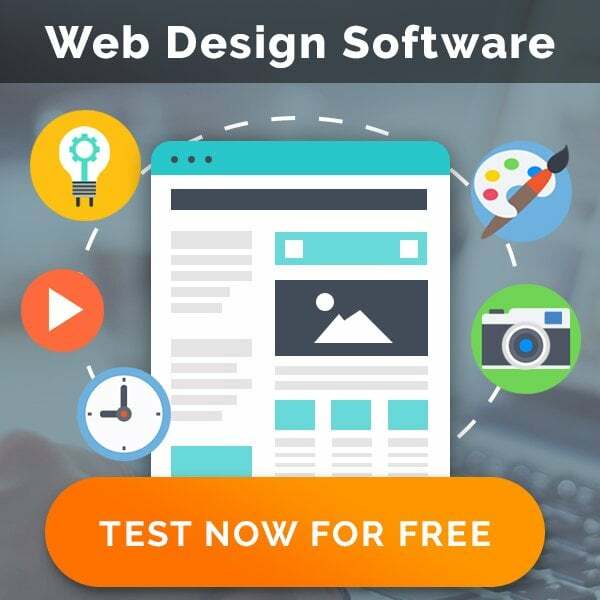 This wonderful tool offers great opportunities due to a wide choice of different features you are welcome to use while working with your pictures. Still, learning how to apply them is an extremely difficult and time-consuming task. Of course, it is worth doing it if you are a professional photographer. 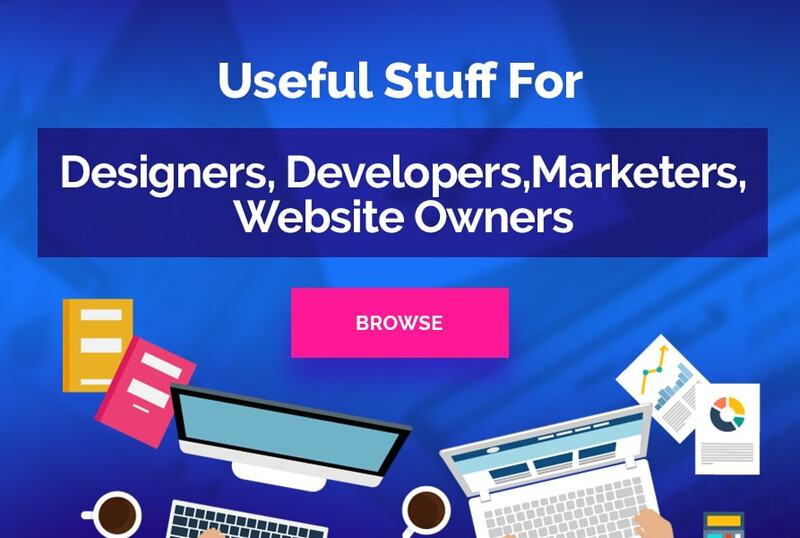 Such skills are really helpful and will save your time considerably in future. But what to do if you are just an amateur or a complete novice in the sphere of photo editing? A huge amount of different Photoshop options may look quite frustrating. No reason to feel upset! There is a wonderful and easy way out – use Photoshop photo filters and plugins. 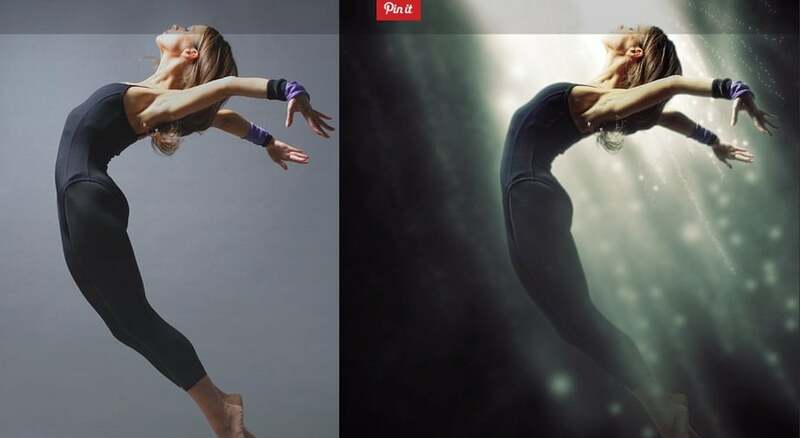 Many Photoshop photo filters are in fact Photoshop actions. If this word means nothing to you the explanation is very simple: an action is a set of pre-recorded steps used to apply a certain effect in photo editing. What makes an action great is that if you have one you don’t need to fulfill all these steps. The action does everything instead of you on a single click. Great, isn’t it? Photoshop photo filters are very useful not only for the beginners but also for the professionals. It is true, that being familiar with Photoshop you can easily create an action with the help of the Photoshop action panel. But the question price is your valuable time. If it is possible to save it and get the same result why should you reinvent the wheel? One more advantage of using Photoshop photo filters is that they can become a fascinating source of new ideas and to boost your creativity. This is a good reason to buy Photoshop actions, don’t you agree? One of the most popular spheres of photography is making portraits. Most people like being photographed. A photo session quite often becomes a very special event not only for young women and children but also for serious men, business ladies, and elderly people. Photography is an awesome art which is able to change the people’s self-esteem and to make them look at themselves or at their friends or relatives from a completely different point of view. 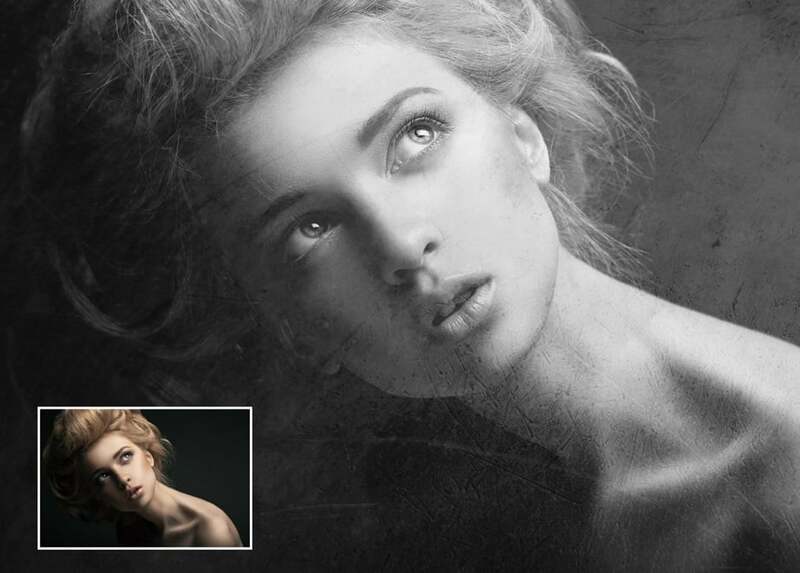 Here are some gorgeous Photoshop portrait actions which will stimulate your imagination for sure and help you in the creation of unforgettable portraits. 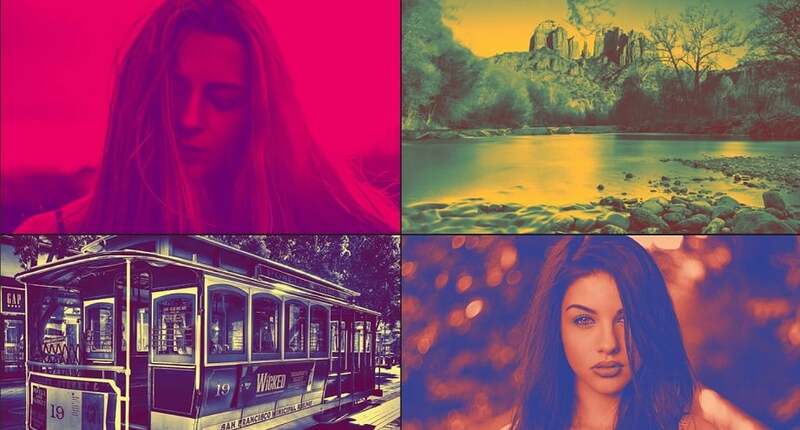 Change the texture of your pictures by applying one of these Photoshop photo filters and enjoy the extraordinary effect. There are 50 different textures to choose from, so feel free to experiment! Use any of the 20 quality Photoshop photo filters of this set to add a mesmerizing touch of the past to your portraits. Turn your picture into a marvelous watercolor painting with a touch of this filter. There are 64 unique watercolor brushes to help you. The results will charm you for sure. This fantastic action enables you to use the main fire generating action as well as an action to change the flames. There is also a brushes pack which consists of 40 unique flames. Create an intense space effect on your subject with this breathtaking Photoshop photo filter. Besides that, you have lots of layer control after the action has finished adjusting the design according to your wish. This Photoshop photo filter adds professional smoke effects to your photos in an easy way! The action works on an area of the image you define by brushing. You also can use advanced customization possibilities: blending modes, adjustment layers, and layer masks. 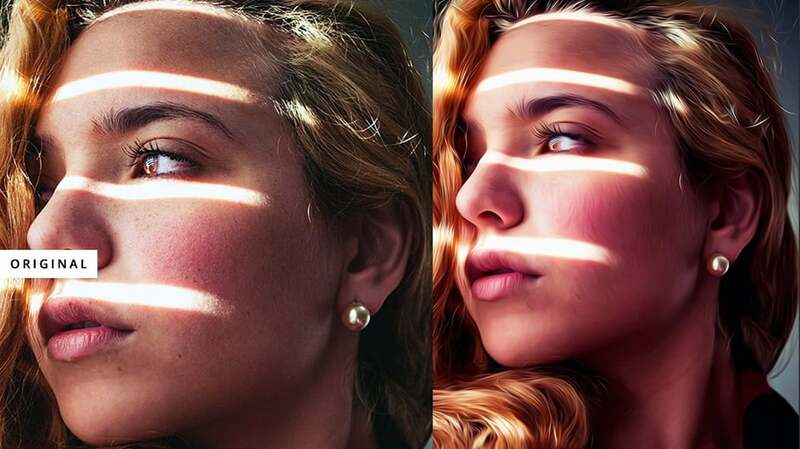 Make your pictures look ephemeral with the help of this Light Effect Photoshop action. Besides the main generating effect you get a “Light Brushes.abr” brushes pack which consists of 36 unique light rays. 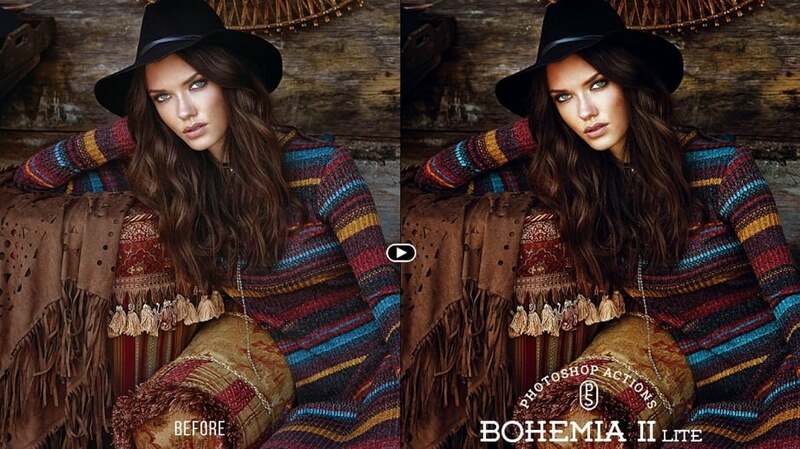 This set of boho-style Photoshop portrait actions is great for the creation of blog imagery, ads, and travel photography. Achieve the best results and form your own authentic style! Make your portraits look irresistible and realistic by applying this Pro Oil Paint Photoshop photo filter. Take into consideration that your pictures stay easy edible and you can continue playing with different effects. 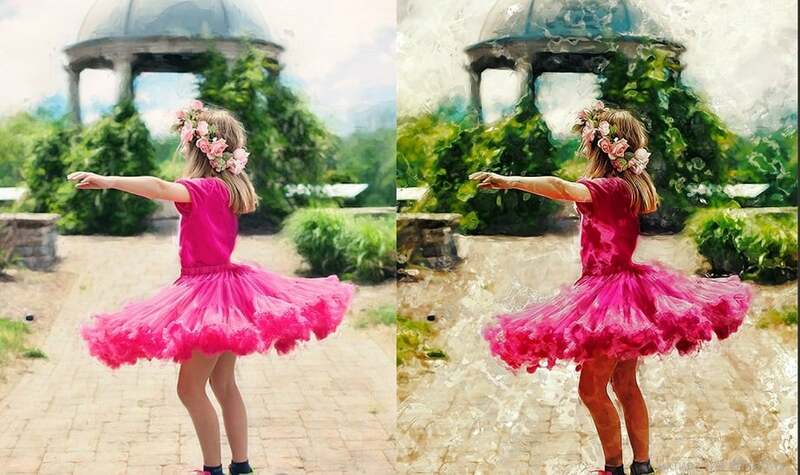 HDR FX transforms your photos into artwork. Use this Photoshop photo filter for creating crisper pictures, change the tonality and extract details from every corner of your photo. There are 32 Color Styles which you can adjust to 3 levels Local Contrast FX and 4 Levels Sharpness to make your photos fantastically clear. 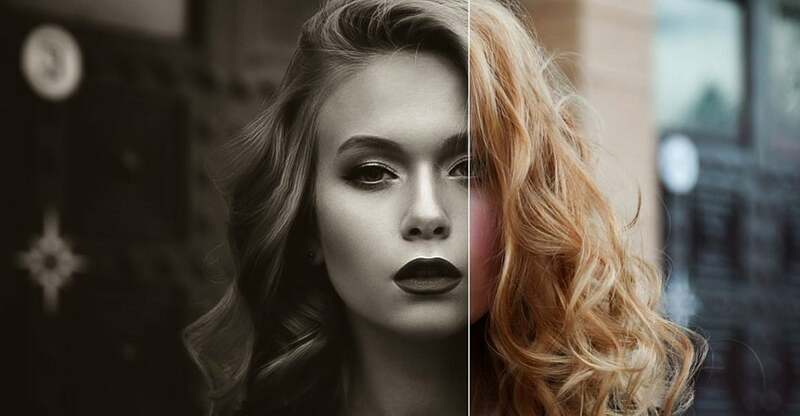 This is an amazing collection of 10 professional Photoshop photo filters that can be used for portrait, nature and travel photography. They will give a touch of an adventure mood and vintage style to your work. This actions set includes 30 Fully editable ATN actions alongside with 5 kinds of Textures. It is incredibly easy to change colors according to your needs and taste to give your pictures a unique style. 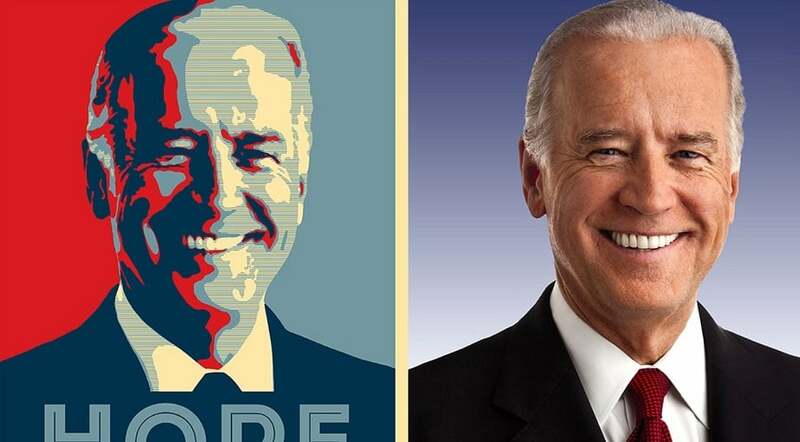 This striking Photoshop photo filter recreates the President Obama’s Hope poster used during his presidential campaign in 2008. This is one of the most recognizable pieces of street art of all time. Transform your portrait into such an amazing poster with one click using this action. Matte Pastels is a set of film-like Photoshop photo filters inspired by the style of Masashi Wakui, a famous Japanese photographer. The set consists of 12 awesome matte pastels effects to add a touch of an enigma to your works. Peony is an admirable way to give your photography rich natural toning for, fashion and fine-art. It will help to get rid of dull greens and florals you are tired of. This Photoshop portrait action is a perfect solution which will add volume and color depth. UNIQUE is a bundle of High-End Photoshop Photo Filters which guaranty you professional results and speeding up of your workflow. These 40 actions are created for portraits, fashion photography, editorial, lifestyle, and everything in between. 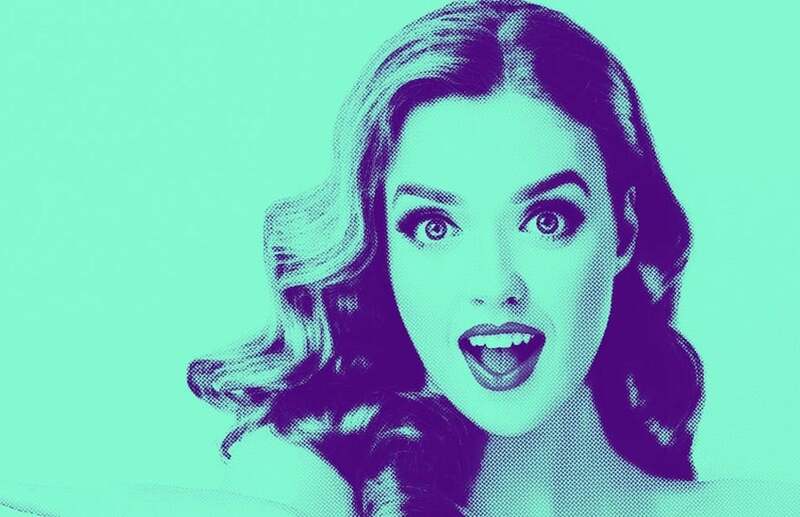 This wonderful set of 20 Photoshop portrait actions will provide you with beautiful Instant Pop Art. Every layer is editable, so you can tweak nearly everything. 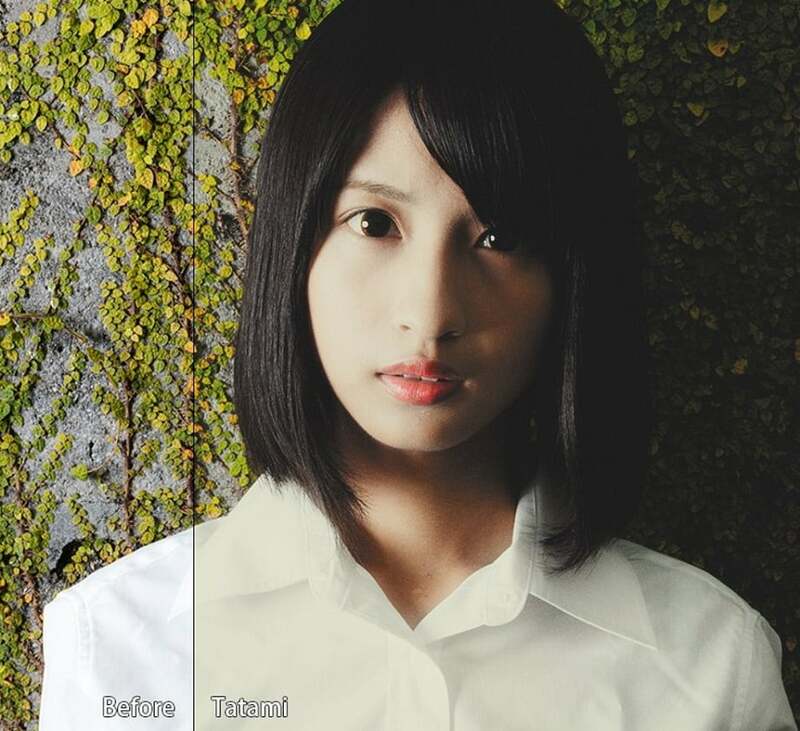 The original image will remain unchanged. Get inspired and experiment. Reddish Photoshop Action offers you a subtle film-like processing and saturated colors in the shadows. Its natural toning is ideal for portrait and fashion photography because it allows achieving Perfect fresh skin tones. 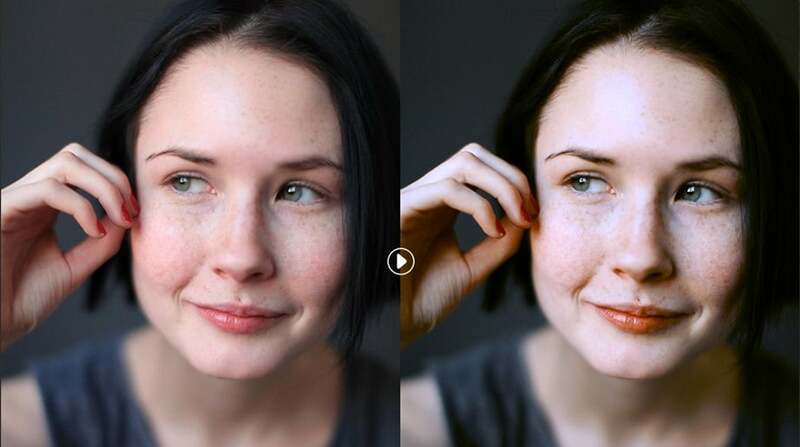 As you see, there are many stunning Photoshop photo filters which are worth your attention. 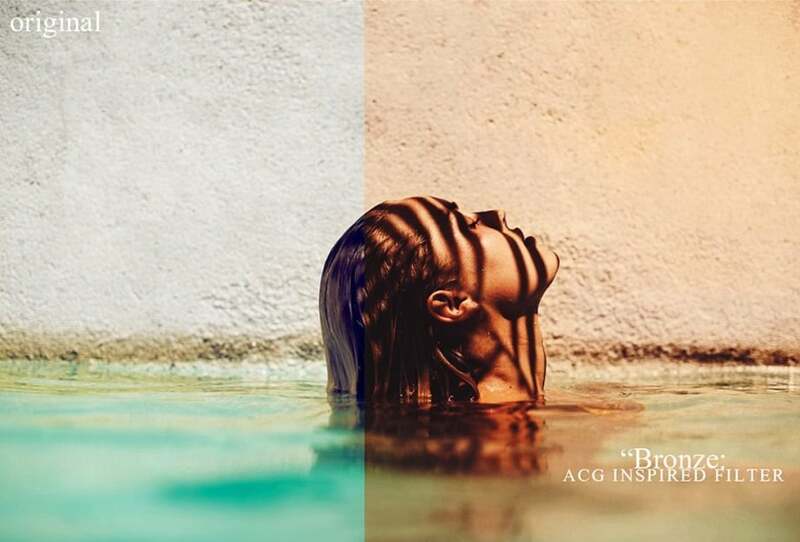 Buy Photoshop actions and boost your creativity right now!